Aaron Levie was a sophomore at the University of Southern California when he wrote a cold email to billionaire Mark Cuban. This email got him his first angel investment. Soon after this, Cuban sent a $350,000 check to his dorm room. This was the kickstart Levie needed to build Box into a company that reported revenue of $608.4 Million for Fiscal Year 2019. Maybe you are not looking for startup funding. Or you are but you may not get as lucky as Levie to get a billionaire investor to send you money. But cold outreach is still very powerful. There are people I have warm connections with, and it started with a cold email. I cold emailed Derek Sivers, and we wrote a book together. I cold emailed Noah Kagan and then we hung out together. I cold emailed Chris Guillebeau and then ended up helping him with his book tour for a book that became a New York Times bestseller. I cold emailed James Altucher, interviewed him and that interview became his about page on a site that gets millions of visits every year. This is how I got my first client in the US. I saw a post on Twitter, chimed in and started a conversation. I then took the conversation to email and that conversation started a long business relationship. This is not the only time it has worked for me. I tried it again last month and without a lot of intensity, I saw some success. If you want to try it out, then here is what I think helps. In all cases, I have shared above – I offered genuine value, through ideas, contribution, and collaboration. Value is a big differentiator because most of us think about ourselves, our reasons. When you reach out to someone with their benefit in mind, it is not hard for them to notice the difference. Don’t offer a comb to a bald person. Don’t offer a weight loss drug to someone who is already lean. Make sure that your ideas or your offer are about something that the person is experiencing and needs. That’s when they’ll value it more. Aaron Levie didn’t email Cuban about getting investment. In 2005, Cuban had one of the most popular tech blogs. 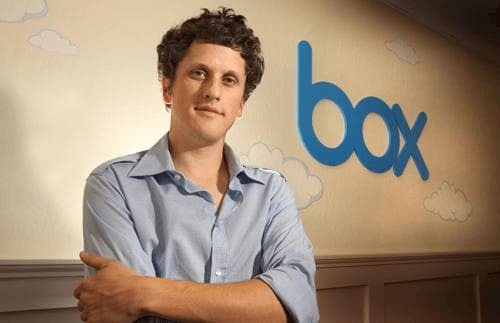 Levie’s emailed Cuban asking him to write about Box on the blog, Cuban was thinking at that point about that space. Even without a pitch, there was a definite context and relevance. This resulted in a fortunate stroke of serendipity and Cuban decided to invest. So, before you reach out, make it incredibly contextual and send only to those to who it makes a lot of sense. Don’t only be concerned with your own profit. Think about what you can give before you think about getting something back. If you are reaching out for a potential business partnership share it upfront or soon after they show interest in what you have to say. There are times when I have reached out with genuine appreciation and without thinking about getting some return and it has resulted in collaboration. When I reached out to most of these people I did not have selfish reasons. I just wanted to build the connection and appreciate good work. And, times when I have a business motive I bring it up early so that no time is wasted on both sides. There are times when I have been in a rush. Like when I told this girl I had just met that I love her because my instincts told me so. But in business situations I avoid it. Derek and I collaborated on our book almost a year after we first connected. And, many other connections continue without any big collaboration or business happening. I guess being surrounded by smart people is a reward in itself. A connection is more important than business. Life is long and there might be opportunities to work together or not. Who knows but there is no point forcing it or rushing it. An exception to this rule is a sales pitch, when you are trying to raise funds, or get new customers onboard. During such times cast a wide net and share deadlines to get a timely response. Levie and his co-founders pitched about 100 investors while trying to raise funds. They emailed investors, showed up at people’s offices and in one case at an investor’s home. They even faxed their biz plan to Bill Gates’ among others. None of this got them an investment. But you can’t blame them for not trying hard enough. In such situation hustling works. I have kept in touch with many of my clients years after we stopped working together. I have seen this is helpful if you ever get into rebuilding phase or when some of them become bigger. So, these are some of my learnings from years of reaching out to people. Hope this helps. And remember we lose all the shots we don’t take.